A "completely drunk" driver has been jailed for stealing a minibus with three passengers on board. 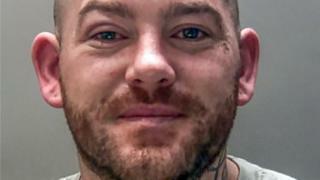 James Powell, 30, jumped into the bus at Cwmbran train station in January while its driver was unloading luggage. He then drove at "dangerous speeds" with three women on board, running a red light and "lurching from side to side". When the passengers begged him to stop he "simply laughed", Newport Crown Court heard. Powell, from Thornhill, Cwmbran, admitted three counts of false imprisonment. He also pleaded guilty to aggravated vehicle taking, dangerous driving while under the influence of alcohol and driving with no insurance. He was jailed for 10 months and disqualified from driving for two years. The hearing was told Powell was "completely drunk" when he took the wheel. He abandoned the minibus in Pontnewydd after driving for about a minute-and-a-half. He ran off but was caught by police. A breath test revealed he was almost double the drink-drive limit, at 63mg of alcohol in 100ml of breath. The legal limit is 35mg. Judge Daniel Williams described the incident as "outrageous". He said: "This was a terrifying experience for those people on the minibus." Claire Pickthall, defending, said: "He is unable to say anything other than he is truly sorry. He is utterly appalled by how he made those ladies feel."